Check out some of our Before and After shots to see how The Closet Magician can help organize your Business. Problem: Rhonda's in-home art studio was a disaster after her basement was flooded several years ago. The studio was unusable. 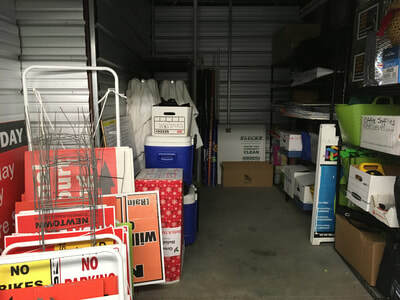 Solution: We discarded the damaged supplies and stored unused frames in another area. Work stations for different mediums were re-established. Result: The art studio was restored to a serene space where Rhonda and Abby can enjoy painting, calligraphy, matting and framing together. Testimonial: My art studio was a disaster and my daughter and I had not been able to use the room for almost two years. Now we can enjoy the space together and Abby is working on her portfolio for art school!" Problem: The thrift shop at Pine Run Retirement Community was in need of a face lift. Merchandise had been sitting on the shelves for months. Solution: Bobbie re-orchestrated the entire thrift shop, moving the men's wardrobes to the main room to create room for furniture donations and to display the larger prints. ​Result: The Treasure Chest has a fresh new look with a colorful focal point and room for a clearance rack to generate more revenue. Testimonial: "Bobbie delivered more than we asked for!" 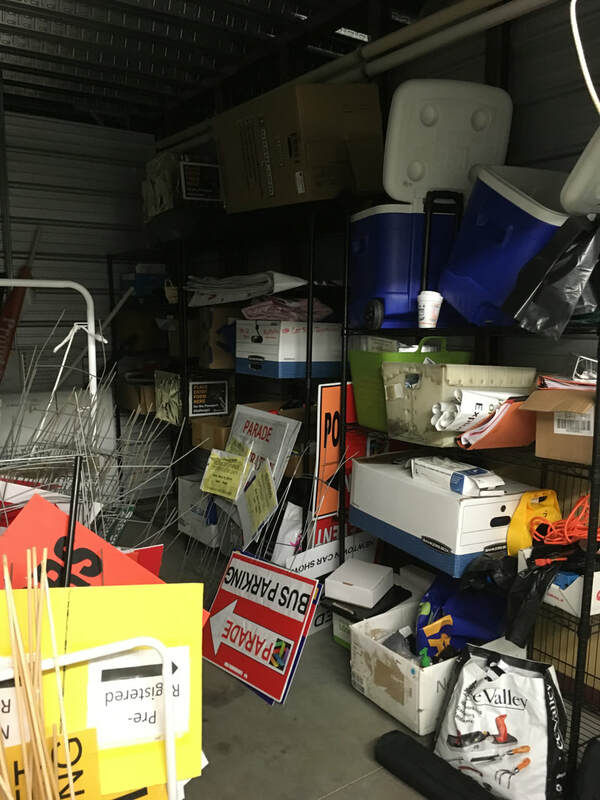 Problem: The storage area for the Newtown Business Association was a mess! None of the committee members could find the supplies they needed for their events. Solution: Damaged and outdated items were discarded. 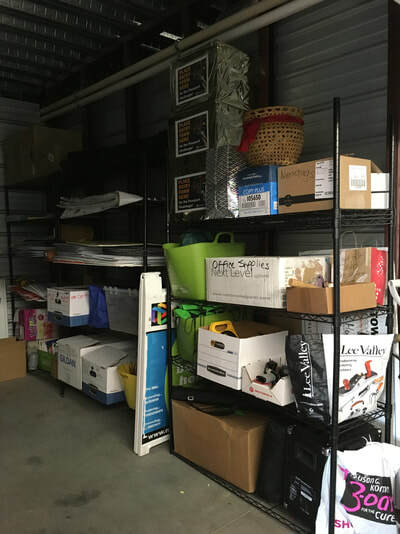 Additional shelves were added and supplies were categorized by event. 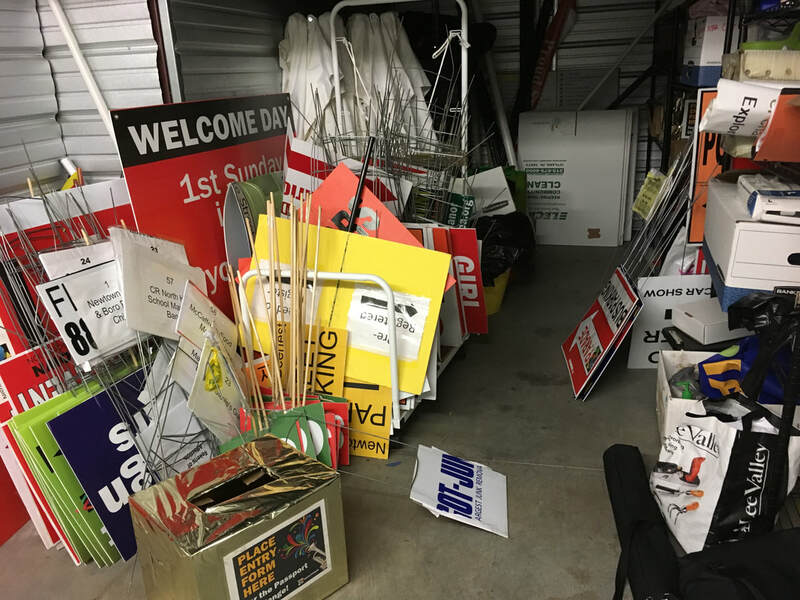 Result: The committee members can find what they need quickly and easily and everyone knows where to put things back after the event. Testimonial: "Bobbie did an awesome job organizing the storage area."